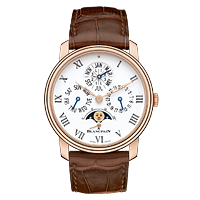 Founded in 1735 by Jehan-Jacques Blancpain in Villeret, Switzerland, Blancpain is one of the oldest and most respected names in fine watch making. 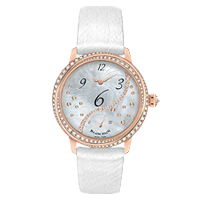 Largely responsible for the revival of mechanical watchmaking, Blancpain constantly pushes the boundaries of innovation and complex manufacturing, Blancpain has been broken many records including the world’s smallest movement and the world’s thinnest movement. 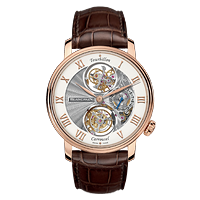 Blancpain is also heralded for the release of the world’s most complicated wrist watch, the 1735, which is a true grand complication featuring a tourbillon, minute repeater, perpetual calendar, and split chronograph. 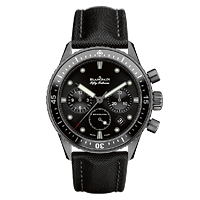 In 1953, Blancpain released the Fifty Fathoms, which was designed at the request of the French Navy Combat Swimmers who demanded unparalleled performance and durability in a waterproof timepiece. The Fifty Fathoms was a great success and became the standard against which most modern dive watches would be measured, including being endorsed and worn regularly by world-renowned oceanographer, Jacques-Yves Cousteau. Heavily involved in motorsports and the automotive community, Blancpain has partnered with luxury sports car manufacturer, Lamborghini, to sponsor the Lamborghini Blancpain Super Trofeo series along with a number of other high profile racing series. 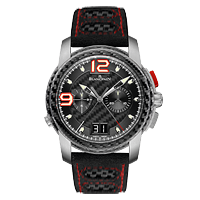 This alliance inspired the development and design of the Blancpain L-Evolution model line. 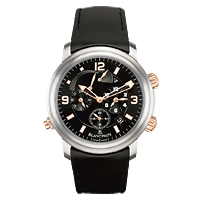 Today, Blancpain continues to reinvent itself while staying true to the spirit of fine watchmaking upon which it was founded.